We are happy to present to you Drykorn's SS18 collection. Browse through the gallery below, and don't hesitate to contact us if there is a particular style you would like us to order for you. We are happy to present to you Blue de Gênes' SS18 collection. Browse through the gallery below and let yourself get inspired - and don't hesitate to contact us if there is a particular style you would like us to order for you. Continuing their exploration and reinterpretation of the youth- and subcultures of decades past, Drykorn have have left the 50’s inspired universe of their SS17 collection behind, and turned their gaze towards the 90’s for their AW17 collection. 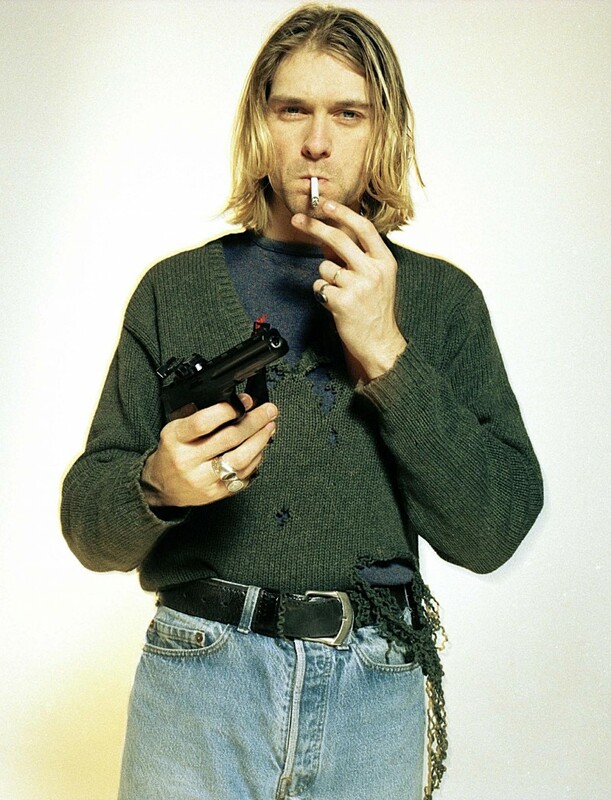 The collection examines two of the most prominent subcultures of the 90’s: The Seattle Grunge Scene, with Kurt Cobain’s rough, disheveled style as a focal point, and Britain’s Britpop movement with Jarvis Cocker and Damon Albarn, of Pulp and Blur respectively, as obvious touchstones. The vigorously creative team at Drykorn, never content with simple rehashings of earlier styles, does not just build on each of these styles – they ram them together to create a masterfuld blend that, while clearly referencing the originators, is entirely its own: The mix of Cobain’s disintegrating sweaters and jeans, Cocker’s razor-sharp suiting and overcoats, and Albarn’s lax, soccer-inspired blend of sports- and workwear, creates a universe which feels both retrospective and undeniably contemporary. Most of the new collection has already landed in the store - drop by and find your inner rock star. The Western world have used pants since ancient times. They are now the most common form of lower-body clothing for men. The invention of trousers happened because of the inconvenience of wearing robes on horseback, when rushing into battle. The first recorded use of trousers is in the sixth century BC. In the beginning the Greeks and Romans laughed at this new trend, and called it ridiculous: "Trousers is the attire of barbarians and could NEVER take the place of my masculine toga" - in the 21st century, we can now laugh back at the ancient sarcastic attitude of the dress wearing men. In the last 100 years we have seen trousers all over the place for different purposes. Fashion has changed from baggy to bootcut to flair to skinny fit to cropped. Materials change based on trends and functionality, and as trousers became more versatile so does the characterisations; now you can buy chinos, jeans, leggings, jogging, shorts, knickers and many more. RETROSUPERFUTURE have partnered with The Andy Warhol Foundation for a new eyewear capsule dubbed the Iconic Series. In means of honoring the late artist’s legacy and personal sense of style, the brand introduces a new retro frame that boasts a touch of contemporary flair. The collection is highlighted by two timeless styles, an optical frame in a tinted crystal acetate, as well as sunglasses in Warhol’s signature silver hue with matching flat glass silver lenses by Barberini. Four additional silhouettes are presented in a range of laid back colors. "Havana, Cuba is a legendary place with an exciting, complex history that includes slavery, revolutions, and politics. We always travel with an open mind, and our mission on every journey is to find the true spirit of a destination. In Havana we found a city that was poor when it came to assets and belongings – but rich, and generous with love, personalities, dance and passion. We are No Nationality. The world is our arena, and our playground. Our models are street-casted people we meet on the journey. Here in Havana we met dancers, chefs, rickshaw drivers, singers andteachers. We met a place filled with pure joy, great food and even greater drinks. We smoked cigars, drank rum, and danced through the nights. Our aim is to inspire other people to travel, and to be open minded." One of the biggest trends this summer will be a 90's inspired look for both men and women. For us men, that means; suede jackets, polos, silver chains, sports apparel, printed socks in sandals, denim on denim, side pockets on your trousers, bright colors, check shirts, short sleeve shirts, boxy fit and a lot of prints. Our suggestion: Don't overdo it! Find your own combination of stylish - with an edge - and make it your own. We hope you arrived safe and sound into 2017, and wish you a wonderful year full of surprises, happiness, and development. We want to help you develop in style, so we have a giant whale sale in Men Under Development.